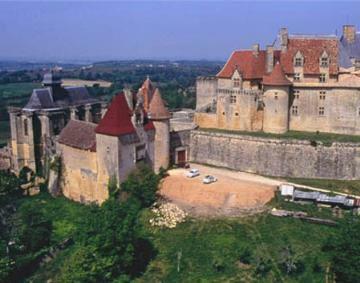 Aquitaine Dordogne villa, cottage, gite in one of the best-liked regions of south-west France by visitors from Europe and particularly the United Kingdom. There is something about the Aquitaine Dordogne (now part of Nouvelle Aquitaine) which makes many of us feel at home, maybe it is the green fields and woodlands that adorn the rolling hills, perhaps it is the beautiful meandering rivers which slowly glide towards the coast. More probably it is the warmth of the Aquitaine Dordogne region which appeals, not just the sunshine which is present most of the year but also the convivial friendly locals who make us feel at home, most of all when at the table eating. Be it in a restaurant or with friends there is a sociable aspect to the region which makes it hard not to linger and chat and maybe have a drink or two more than you intended. There are many small friendly villages in the Aquitaine Dordogne where you can really enjoy your holiday break and the holiday accommodation in Aquitaine Dordogne is of an exceptionally high standard. We have 1 villas in Aquitaine. Dordogne.